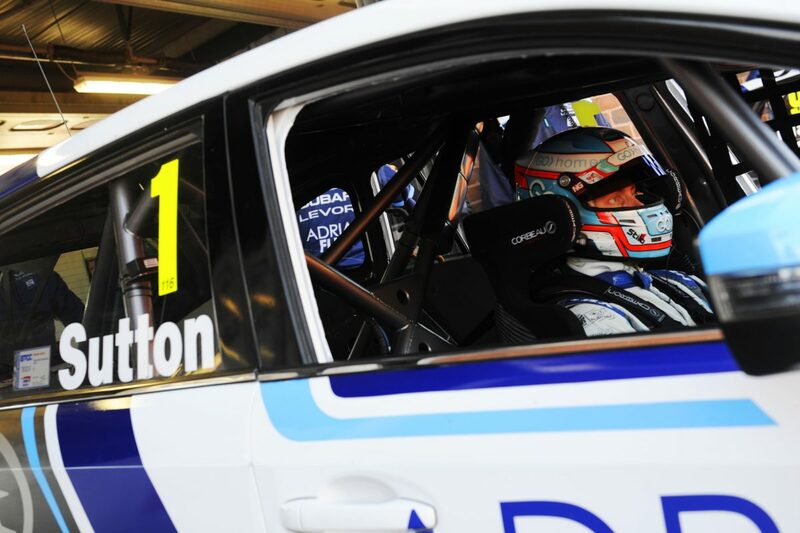 Ashley Sutton underlined his talents in the Dunlop MSA British Touring Car Championship in 2018, producing a valiant defence of his title which ultimately saw him narrowly miss out on retaining the coveted crown. 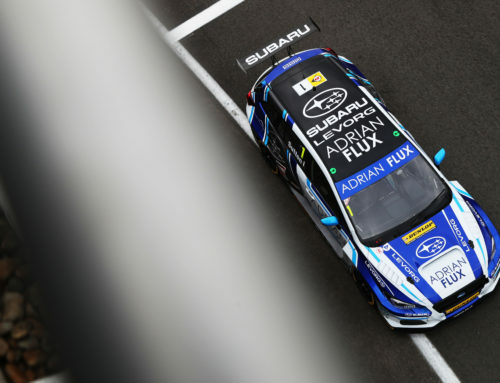 Entering the BTCC’s Diamond Jubilee season donning the mantel of defending champion, the Adrian Flux Subaru Racing driver delivered a superlative season-long performance to score six wins on his way to fourth place in the overall standings. 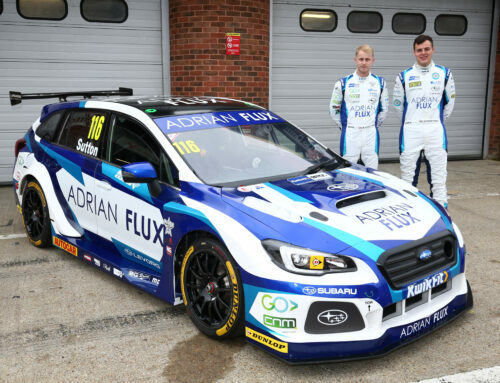 With the number one adorning the side of his Subaru Levorg and his sights set on becoming a back-to-back BTCC champion in the series’ 60th Anniversary campaign, Ashley’s season got off to a steady start at Brands Hatch following a pre-season of minimal testing. Tackling the Indy circuit in challenging conditions, Ashley began his title defence with a trio of points finishes, narrowly missing out on a podium finish in the reverse grid encounter – crossing the line in fourth. 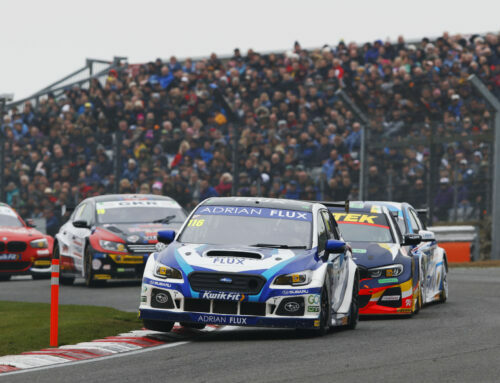 Another three points finishing performances were chalked up at Donington Park however it was apparent that the rear-wheel-drive Team BMR machines were facing their own performance struggles. Scoring a handful of points at Thruxton and Oulton Park, the 24-year-old headed into the fifth event of the season sitting 13th in the points. 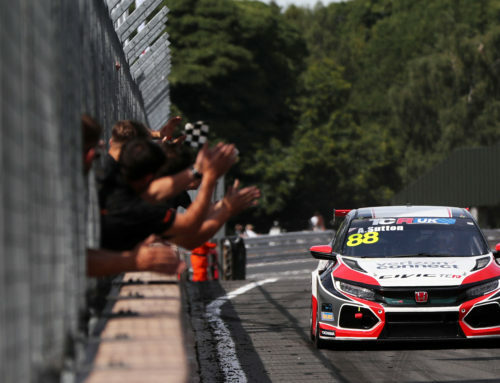 Having enjoyed success there in the past, the BTCC’s annual visit to Croft proved to be the catalyst for Ashley as he ignited his championship defence in style. Pipping team-mate Jason Plato to pole position, the reigning champion served up a mesmerising performance to score his first victory of the season in race one, leading a Team BMR 1-2. Despite ladened with 75kgs of success ballast in race two the Bishop’s Stortford racer topped the podium once again. A seventh place finish in the final race of the weekend added to Ashley’s success and vaulted him into the top ten in the points. Following the annual summer break, Ashley’s title charge continued to gather momentum as the BTCC’s Diamond Jubilee celebrations were in full swing at Snetterton. Commemorating six decades of the championship with a special retro one-off livery, Ashley once again emerged as one of the leading lights from Norfolk meeting. In treacherous conditions, a rocket start from row four propelled the Subaru man into second place by the end of the opening tour in race one. From there, a meticulous drive saw him catch Jack Goff and by the final lap, the battle for victory was on. Producing a scintillating move around the outside of Coram, Ashley grabbed the lead at the final turn but sadly missed out on victory on the drag race to the line, settling for second. A third victory of the season would fall Ashley’s way in race two at Snetterton before disaster struck in the Diamond Double, a one-off double distance double championship points race. Hit with a drive through penalty for a false start at the beginning, Ashley went on to non-score. Onto Rockingham for the final time and there were further celebrations as Ashley continued his winning streak following a podium in race one by notching a fourth visit to the top step of the podium. As the series ventured north of the border to Knockhill, yet more heroics were showcased by the reigning champion. With heavy rain battering the Scottish venue, Ashley proved to be in a league of his own as he scythed his way from the back of the top ten in race one to triumph for a fifth time. A second victory of the day soon followed, however it proved to be short-lived. Due to a technical infringement, Ashley was to be excluded from the result and despite an awe-inspiring fightback later in the day, his title hopes hanged in the balance. A rollercoaster ride at Silverstone sadly saw Ashley’s hopes of retaining his title end although it allowed the 2017 victor with the opportunity to sign off his season in style at the finale. Bringing the curtain down on the 2018 campaign around the iconic Brands Hatch GP circuit, the P1 Nutrition athlete capped off the year with a race for the ages as he came out on top in a back-and-forth battle with Josh Cook in the final encounter of the season. 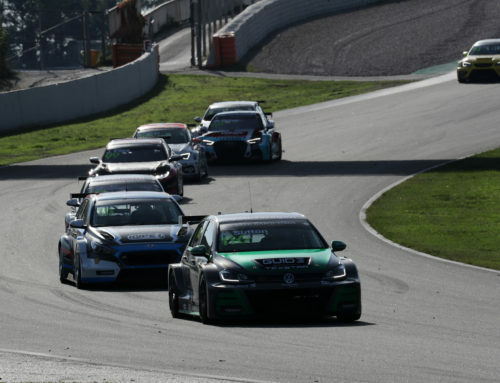 Despite being unable to defend his championship title, Ashley enjoyed a stellar season which saw six victories, a further two podiums and one pole position scored, all amounting to fourth in the points. In addition, the outgoing champion underlined his prowess on track by finishing second in the Dunlop Forever Forward award, completing 150 overtakes. With the dust settling on 2018, Ashley is already looking at options for the 2019 season….